In the first year that controversial farm safety legislation was in effect, workers’ compensation claims for farm workers more than doubled in Alberta. Statistics provided by the Workers Compensation Board show there were 793 farm injury claims accepted by WCB in 2016, compared with 339 the year before. Mandatory WCB coverage for paid agriculture workers came into effect on Jan. 1, 2016, under the NDP government’s Bill 6, the Enhanced Protection for Farm and Ranch Workers Act, which set off enormous protests from farmers and opposition parties when it was passed in the fall of 2015. Previously, agricultural operations were not required to have injury coverage for workers, though they could voluntarily take on WCB coverage or use private insurance. Family members remain exempt. The WCB said there are now 3,629 agricultural operators registered, up from 1,756 at the end of 2015. There are no statistics available on how many of the employers formerly held private insurance. Lynn Jacobson, president of the Alberta Federation of Agriculture — the province’s largest producer-funded general farm organization — said in a recent interview that there is still lingering anger in rural areas over how the NDP government introduced and implemented Bill 6. “A lot of the things were not being claimed that probably should have been claimed before,” said Jacobson, who farms near Enchant in southern Alberta. Jacobson said benefits of WCB coverage include immunity from litigation for employers and payment for long-term health-care costs of an injured employee. But he said there is a need for WCB regulations to be adjusted to better fit the farm sector. The Alberta Agriculture Farm and Ranch Safety Coalition, or AgCoalition, a grouping of major farm organizations formed in response to Bill 6, did not have a spokesperson available Thursday. “We are working with WCB to use this, along with other information available to the farm and ranch community, to paint an accurate and complete picture that will identify areas of risk,” said the organization. The WCB’s numbers show the largest number of 2016 injury claims — 192 — came from feedlots, followed by 131 from hay/grain/crop farming and 106 claims from beef producers. Nearly a quarter of the claims, 199, were strains or sprains, with 153 superficial wounds, 165 open wounds and 106 cases of fractures, dislocation or nerve damage. There were 170 other injury claims, as well as three accepted farm fatality claims. Labour Minister Christina Gray said ideally there would be no injured workers in the province, but mandatory WCB coverage gives certainty to both farm workers and employers. “I can say with certainty that our legislation provides that coverage and that protection to farm and ranch workers, so that they have access to medical and financial support,” she said. Gray said the WCB review launched by the NDP government has reached out to the farm sector for input into possible changes around agricultural coverage. Wildrose Leader Brian Jean has promised to repeal Bill 6 if his party wins the next election in 2019. Opposition agriculture critic Dave Schneider said there would likely be replacement legislation passed, rather than simply a return to the status quo that existed before 2016. 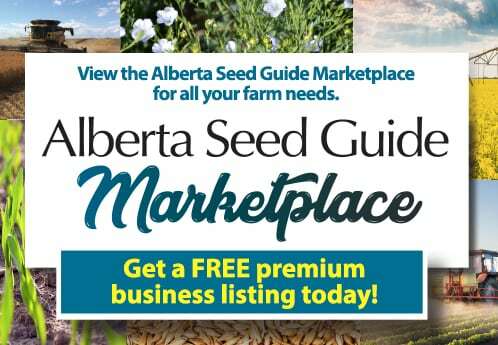 Schneider said many producers in contact with Wildrose remain unhappy about being forced to take on WCB coverage because they viewed the private insurance they previously held as more comprehensive and cheaper. “What I can see is looking into whether private insurance can provide the same coverage as WCB. And if they can, would that not open up competition and be better for everybody?” he said.